Most people suspect that forgetfulness or dementia occurs because of some changes or problems in the brain, especially among the elderly. However, this is not always the case. In fact, a heart problem can also increase the risk of dementia or Alzheimer's disease! It may be hard to believe this, but the statistics speaks for itself—there is an estimated 350,000 people in Japan alone who suffers from dementia due to heart problems. Some experts say that if the number of patients who are at risk is included, then the number will be twice as much. 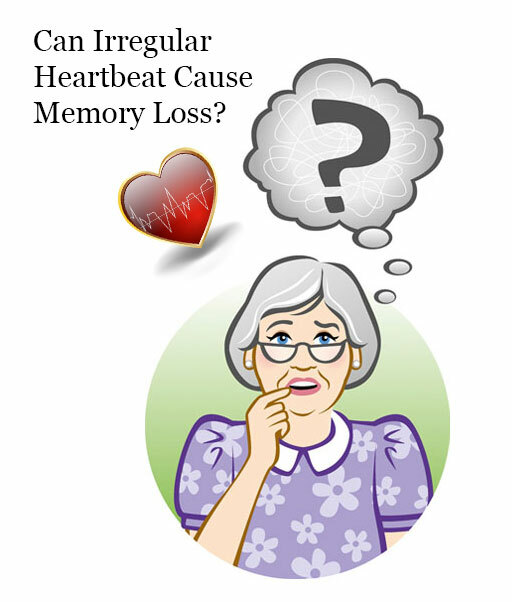 In this article, we'll tell you about the surprising link between the heart and memory loss. You'll also learn how you can spot the symptoms early, and the available treatments you can take. Surprising Link between "Memory Loss" and "Irregular Heartbeat"
Research shows that some sudden symptoms of fainting and forgetfulness are caused by an irregular heartbeat. Now, statistics show that about 90% of people may experience abnormal heart rhythms or irregular heartbeat at some point in time! However, this does not always indicate a serious illness. In other words, there are two types of irregular heartbeat – the dangerous one and the harmless one. Typically, a normal resting heart rate for adults ranges from 60-80 bpm (beats per minute). However, the difference between a dangerous irregular heartbeat from harmless one has nothing to do on the number of times the heart is beating per minute. In fact, even people who are diagnosed with a heart rate that suddenly jumped by more than 4000 beats per day may not be considered a problem. The key in identifying a dangerous irregular heartbeat is through the heart sinus node. The sinus node is an impulse-generating tissue and is responsible in maintaining the heart's electrical signal or normal sinus rhythm. This is our body's natural pacemaker! The sinus node works 24 hours a day without rest to keep the heart working properly at all times. It is not uncommon that the heart's electrical signals may temporarily be disrupted due to some reasons and cause irregular pulse, but does not constitute abnormality in the function of the sinus node itself. In fact, it is the function of the sinus node to restore the heart's normal rhythm as soon as it can. This does not constitute a major problem and may be considered a harmless irregular pulse. On the other hand, a dangerous irregular heartbeat occurs when there is a decreased function of the sinus node. In other words, a malfunctioning sinus node cannot discharge important electrical impulse and is considered a health risk. The medical name for the dangerous irregular heartbeat caused by malfunctioning sinus node is called "bradyarrhythmia" or more commonly "bradycardia". This heart disease usually affects the elderly. One way to distinguish the dangerous type of pulse from harmless pulse is by identifying the number of seconds the sinus node activity pauses (called sinus arrest or sinus pause). 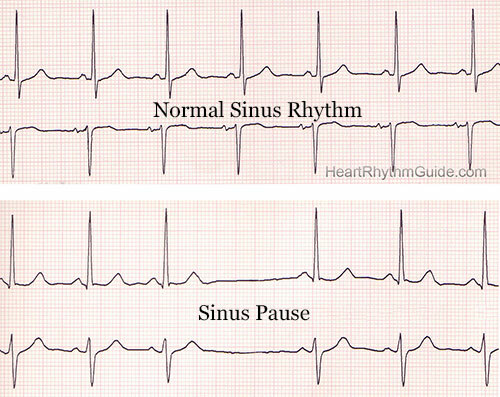 On a harmless irregular pulse, the sudden pause in the regular activity of the sinus node falls within two seconds. With the dangerous type, it falls for 3 seconds or more. Sinus pause is more than 3 seconds. Heart pulse is 40 beats per minute or less. If you are suffering from symptoms mentioned above, it is recommended that you consult a cardiologist as there is a possibility that the sinus node of your heart is malfunctioning and so the blood supply throughout the body including the brain is reduced. Note: Professional athletes may have a heart resting rate of 40 beats per minute. This is normal as their body is already trained through constant strenuous exercise. This is part of sport adaptation of the body to help prevent tachycardia (abnormally rapid heartbeat) during training. Use the middle three fingers of your right hand to feel the pulse on your left hand (or vice versa). 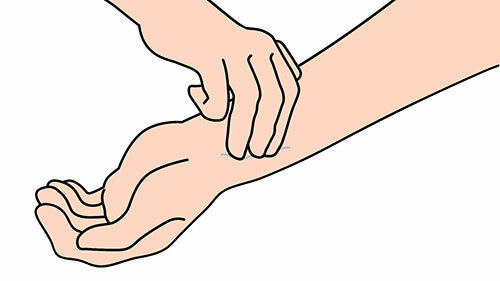 Place your ring finger just below the wrist crease (on the thumb side). See illustration below. Then, allow the other two fingers to rest gently next to the ring finger. Gently press with all three fingers evenly until you can feel a pulse. Monitor the quality of your pulse for a minute. The pulse should be easy to find, if not, press a little stronger. The most common treatment for bradycardia is through an artificial cardiac pacemaker. The pacemaker is implanted in the body via surgery, which will help send out electrical signals or impulse to initiate normal heartbeat in place of the sinus node. 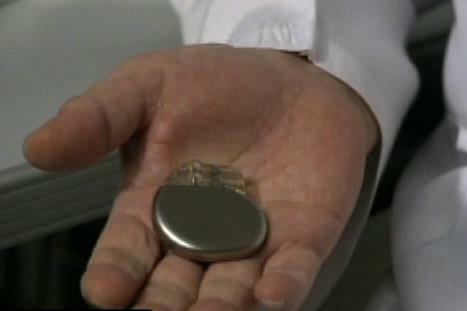 Modern pacemakers are considerably getting smaller with sizes varying from 4-5 cm in width. Surgery is done under local anesthesia, which usually takes 1-2 hours. Another surgery will be required to replace the pacemaker battery once in every 5-10 years. NOTE: The PYRO-ENERGEN electrostatic therapy machine can be used safely by patients with a pacemaker implant. Metal implants and pacemakers are embedded inside the body or placed under the skin. Since the PYRO-ENERGEN's negative static electricity is noninvasive, there's no way it can penetrate the skin and affect the implants. The law of static electric fields states that static electricity does not penetrate electrically conductive objects such as the human body. The field induces a surface electric charge that is always perpendicular to the body surface.